Basement people, our time has come! We’re getting a new song! How amazing does the whole thing look? The lifesize poster, the t-shirts, the postcards…the phone, just like in their first teaser…and that music…I really like that music and cannot wait to hear more of it! Possibly the most important element though is…the hashtag! 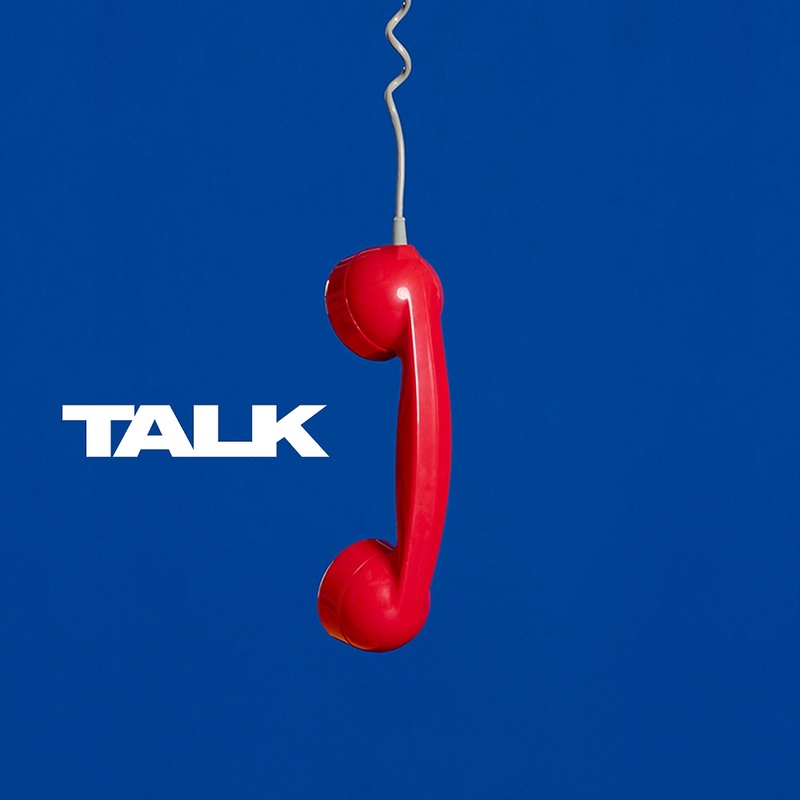 #TalkthatTalk – could this be the title of the new song? To find out, tune into BBC Radio 1 for Annie Mac’s hottest record in the world on the 18th of March from 7pm GMT! That’s next Monday guys! Less than a week until we finally get to hear something new. I am beyond excited and once again so proud of all the hard work the band and their team have put into this amazing album promotion! I will be live tweeting throughout the whole thing as always so make sur you’re following @Basement_people! So much love my friends and talk real soon! This entry was posted in Site News on March 14, 2019 by Saoirse. Basement people, todays news is huge! The mystery of the billboard shared last night by instagram user Giacobara is no more! The band have just shared the most amazing video! Check it out an let us know what you think! The link sends to this page. The band have also changed their social media with new profile and covers pictures to match their new aesthetic! I’m only discovering this as we speak so I’ll be back soon on this very post with updates! Updates: Well basement people, what do you make of the bands interactive billboard and app/quest (let’s be honest here, it’s totally a quest). How exciting is this? I love the whole concept, it’s huge. Any form of interactive content is always a great way to promote something, this however, is something else completely…they’ve taken things to a whole new level! I must say, I’m very impressed with the entire thing, it took a lot of hard work, planning and logistics, it’s unlike anything they’ve ever done before and for that alone I’m so proud. What do you think of it basement people? Let us know! This is definitely one of my favourite basement people tweets so far, it just sums everything up! As some of you may know, I live in France, and was pleased to see that there are two locations in France so far, though both in Paris. I’m quite a bit away from there, so I probably won’t get a chance to check out the hotspots myself, I do however have a wonderful friend who is going to try and check these locations out for me so I’ll let you know how that goes! What about you? What’s the closest location to you? Have you been? What have you found? From what I can gather, locations have been added since they first announced the app – last night there a lot of replies across social media about how there were no locations in Ireland or North America for example, however if you check the map today some there are quite a few! I don’t know if todays map is final and if there were just some last minute locations to add or if there will be more uploaded over the next few days though, so as always, stay tuned and we’ll share whatever updates with have with you! I hope you’re enjoying the bands latest content anyway and are as exciting as ever for what is to come! Talk later my fellow basement peeps! This entry was posted in Site News on March 12, 2019 by Saoirse. This picture was taken and uploaded by photographer Giacomo Baraldi (who also happens to run this amazing tumblr…so many pretty cushions!) and has been on his instagram for just under 24 hours, with a few basement people picking up on its existence and bringing it to my attetion (including the wonderful TDCCDaily). I am simply sharing this, I don’t have any further information on the post as of yet, though I’m trying to find out as much as I possibly can! What do you make of this? Do you think it’s the real deal? Get in touch basement people! Update: I was talking to Giacomo, he apparently took the poto near Shoreditch High Street Station! Talk soon soon super soon!